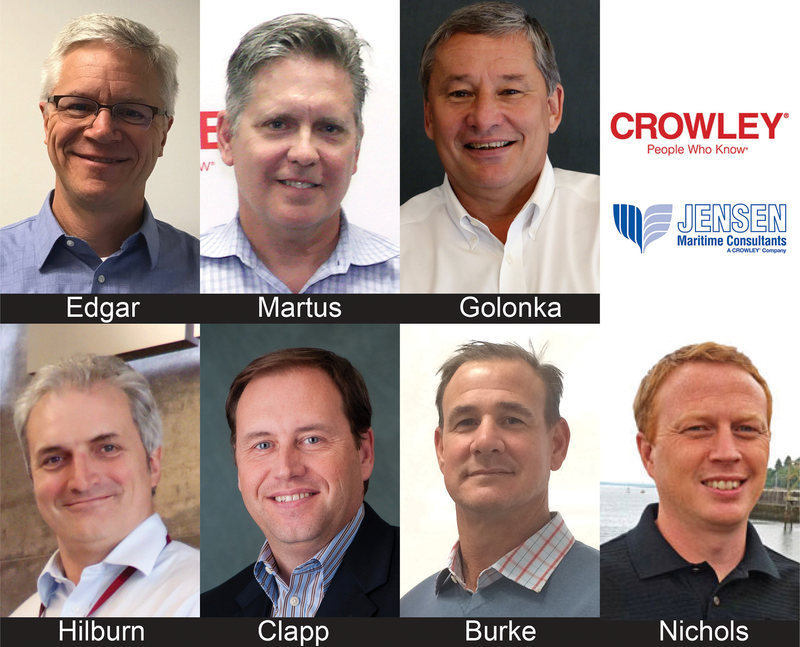 Crowley Maritime Corp.’s solutions group announced that it is reorganizing and establishing new leadership to better serve customers in need of engineering, project management and government services. Solutions is the company’s dedicated, full-service engineering, project management and government services team, reporting to Crowley’s Todd Busch, senior vice president and general manager, technical services. Jay Edgar, who is new to Crowley, has been appointed vice president and leader of the company’s newly formed engineering services team, which encompasses all engineering, naval architecture and design-related offerings, including those traditionally provided by subsidiary Jensen Maritime. Domiciled in the company’s Pier 17 office, in Seattle, Edgar services a variety of external and internal customers. He joined Crowley from Glosten, a Seattle-based consulting engineering firm, bringing years of experience in engineering and consultancy for private companies and government clients. He has a bachelor of science degree in naval architecture and marine engineering from Webb Institute. Crowley’s Ray Martus, vice president, now presides over the project management team, with responsibilities for vessel construction management, drydocking strategies and offshore marine projects. Notably, his scope of work includes completion of Crowley’s LNG-fueled ConRo ships, which are under construction for the company’s Puerto Rico liner services team. One of the most recent Thomas Crowley Award recipients, Martus has a bachelor's degree in marine engineering from the U.S. 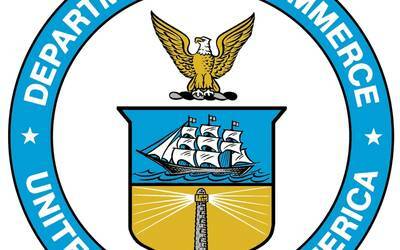 Merchant Marine Academy at Kings Point, N.Y., with a license as Third Assistant Engineer, and has a master's degree in business administration from the University of Florida. He sailed for 12 years with various companies, including Crowley, and on U.S.-flag steam and diesel ships as an engineer, ultimately obtaining his Chief Engineer unlimited license. He remains domiciled in Jacksonville, Fla.
Vice President Mike Golonka continues to lead the government services group, which was recently restructured to better synchronize government services offerings across the Crowley portfolio. In this refreshed position, Golonka now has responsibility for leading operations and engineering across all government activities and for overseeing all the company’s government programs and managed vessels. Golonka, who remains domiciled in Jacksonville, joined Crowley in 1987 and has served as senior port engineer, manager of ship operations, director of engineering and director of contract operations prior to his appointment to general manager in 2009. In that role, he coordinated all sales, marketing and operations activities for Crowley's ship management group and its growing number of customers and vessels served, including container ships, heavy-lift ships, tankers, U.S. Maritime Administration (MARAD) Ready Reserve Force ships, state-of-the-art deep sea construction-vessels and a self-propelled jack-up barge. In 2011, he, too, was awarded the company’s highest honor, the Thomas Crowley trophy, given to employees who have aligned themselves closely with Crowley’s values and displayed outstanding performance along with dedication, leadership, initiative and productivity. Golonka graduated from Calhoon MEBA Engineering School, and holds an unlimited chief engineer license. He remains domiciled in Jacksonville. Crowley is also creating a unified government business development team leveraging its expertise across all business units. This team will be led by a to-be-named vice president. That team is being formed, and will include Owen Clark, Andy Rabuse and Joe Martin, directors; Jason Nuss, manager; Sean Thomas, vice president; and Bleu Hilburn, who has been recently promoted to a vice president focused on expeditionary logistics and the U.S. Transportation Command (TRANSCOM). Hilburn, based in Jacksonville, most recently served as director, business development, logistics, and will continue delivering logistics solutions for government customers. In 2016, he was awarded the Thomas Crowley Award. He joined Crowley in 2012 after a career in the U.S. Army as a transportation and logistics officer, retiring after battalion command as a lieutenant colonel. Crowley’s Rob Clapp, has been named vice president, finance and contract management, with responsibility for supporting the business activities of the solutions group, including accounting, reporting and compliance, with a primary focus on government contracts. Clapp, who joined Crowley in 1988, most recently served as vice president, planning and strategy. Prior to that, he held many positions of increasing responsibility, mostly in accounting, finance and management reporting. He served as director of finance for Latin America before being promoted to vice president of pricing and yield management for that group, and later vice president, customer care. Clapp is a graduate of Jacksonville University and holds a bachelor of science in accounting. Crowley’s Tim Burke, director, proposal management, has been tapped to lead the team responsible for preparing and submitting proposals and bids. His group will work closely with the business development, finance and operations teams to optimize the submission and review processes, while also managing third-party support. Burke most recently served as ship superintendent for Crowley, and remains domiciled in Jacksonville for the position. Supporting the solutions team’s commercial business development activities is Crowley’s Bryan Nichols, director, who joined Crowley in 2015 from Vigor Fab in Seattle. Based in the company’s Pier 17 office, Nichols is tasked with marketing solutions’ capabilities and leveraging the company’s experience and expertise to gain new project-based business.